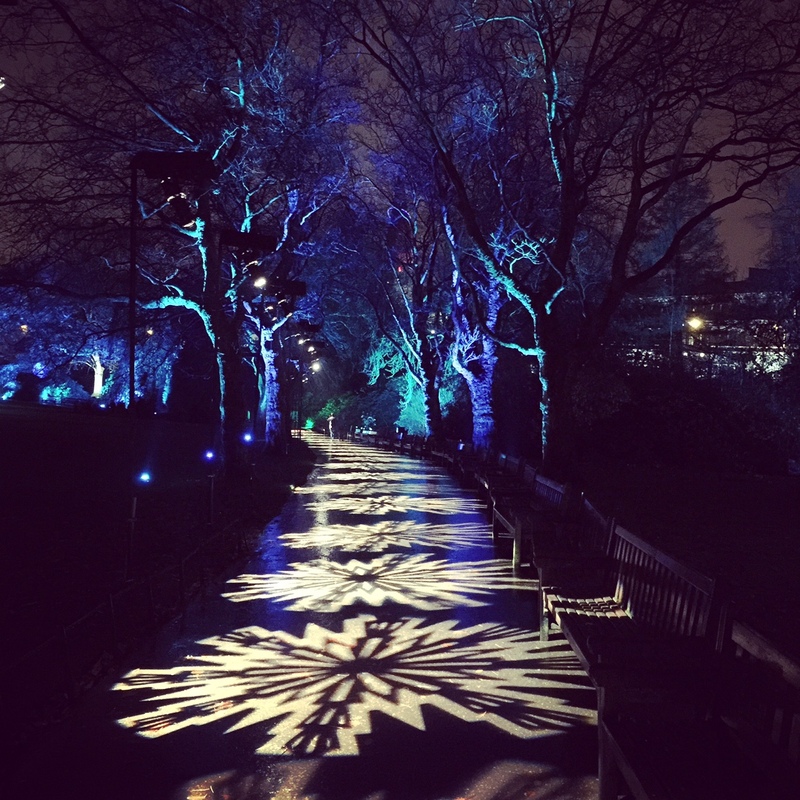 We probably picked the wettest, most miserable night on Saturday to go to the Electric Gardens II in the Botanic Gardens, Glasgow. We had been to Electric Gardens I in January and loved it so we were keen to get back. My sister and 3 year old niece came with us this time, which was great as it was very well set up for kids- from storytelling, a fire show and crafting in the Kibble palace, where the little people could make bats to take home. Even in the wet and cold, the Botanic’s were stunning. From a frozen pathway…. and disco lights for some wee folk to groove to. There is even a stand where you can buy hot chocolate and a warm doughnut to keep you cosy on your journey around this winter wonderland. 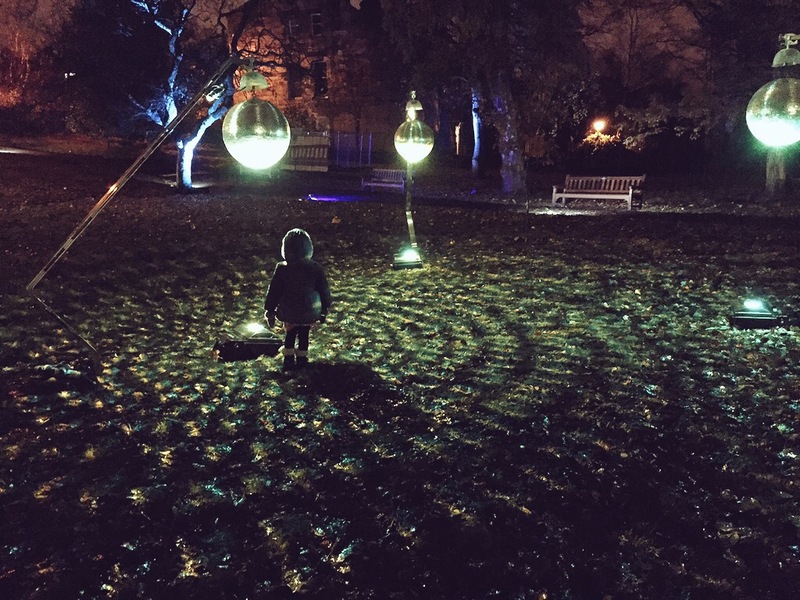 Compared to the first Electric Gardens I felt this one was slightly less focused on arty installations (which I missed slightly) and more on activities for children. 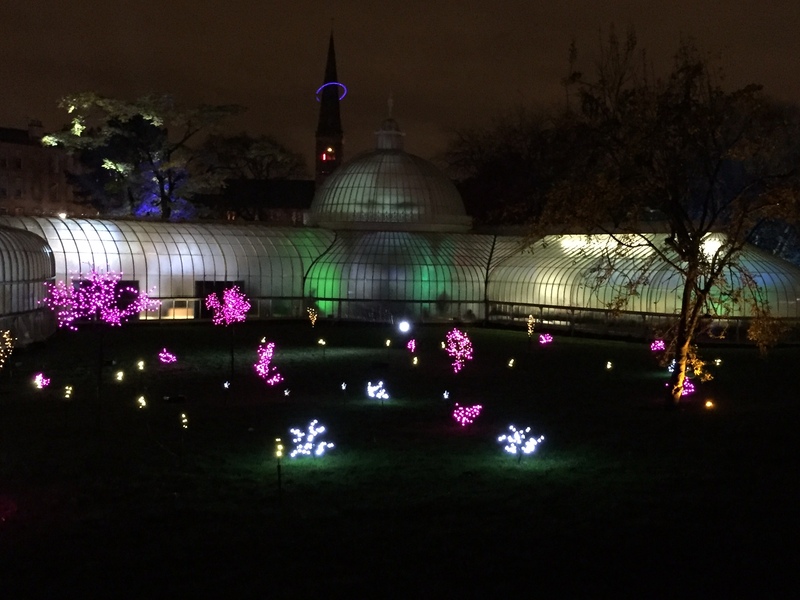 It is still a great night out for young, and old though, and a fabulous way to look at our beautiful botanic gardens in a new light. Just keep your fingers crossed for a dry night. 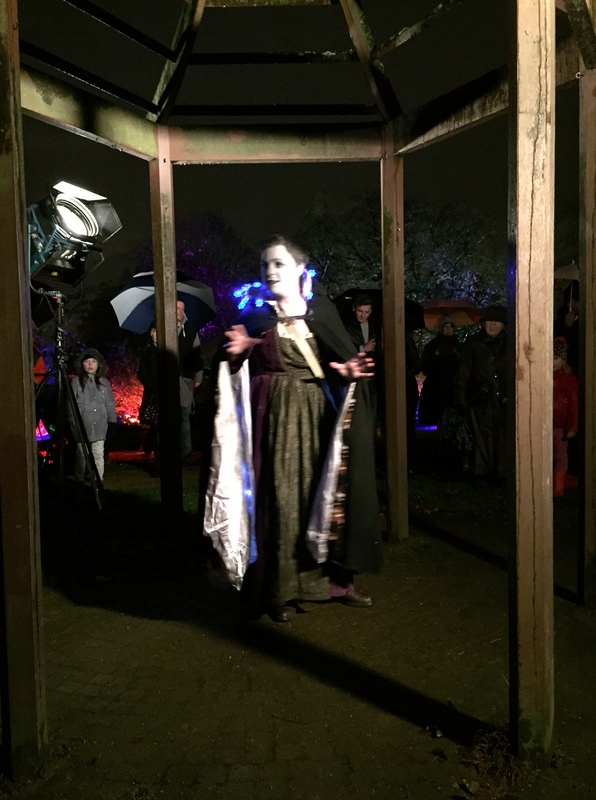 The electric gardens continue until the 6th of December and tickets can be bought on the westend festival website here.